Hands-on experimenting with kilobots with prospective UCSF students, 30 minutes. 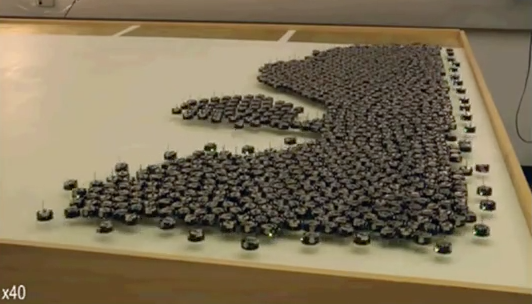 1) Show video of kilobots forming a shape. 2) Hand each student a kilobot and point out the capabilities and parts: Legs, battery, 2 cell-phone vibration motors, multi-color LED, infrared transmitter and receiver, light sensor. 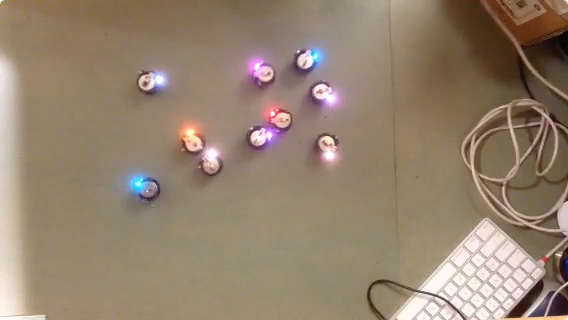 3) Observe kilobot communication, have students put them near each other which will start motors (repel.c program). 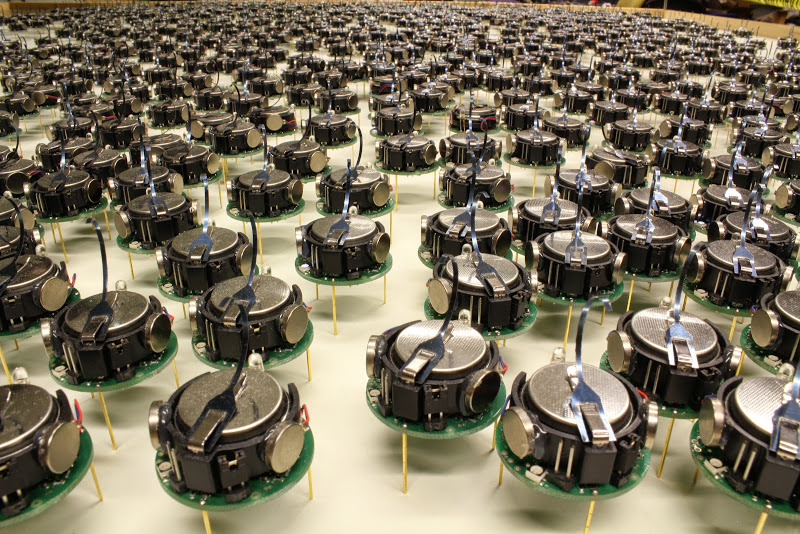 4) What happens if we put 10 robots together? They expand out and stop. Set the LED to a fixed color (set_color.c). Move during half the blink. Transmit and receive messages (message.c), moving only if it has received a message. 6) Optional. Show the synchronization demo (sync.c) and effects of disinformation kilobots.